I will not say NO to trying out pedicures even if I got one done a few days back. 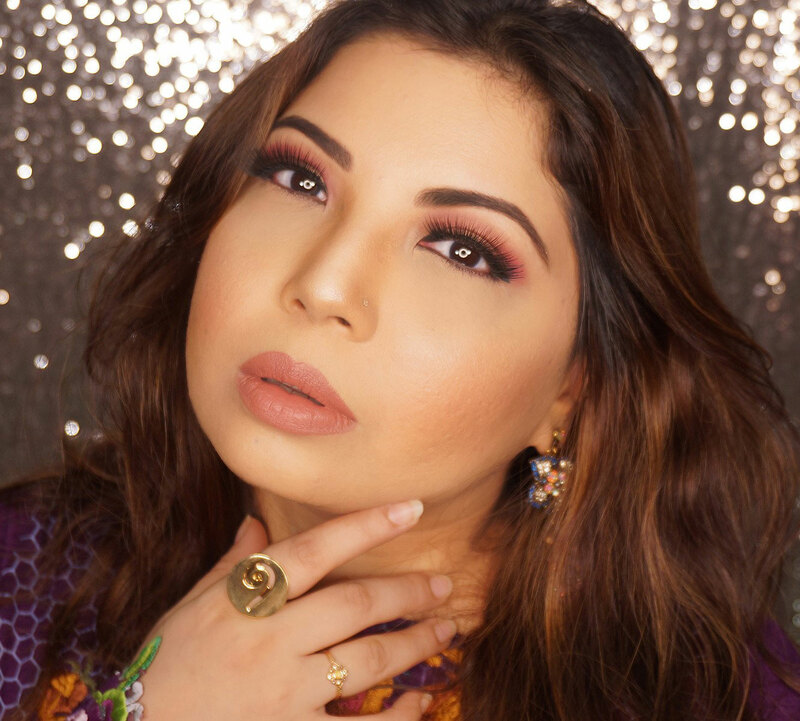 Considering the craziness in my life I needed to get a little time off for myself and this Footlogix Pedicure at Amethyst by Roohi Salon and spa was just the right thing at the right time. Let me first say that Amethyst Salon and Spa in Karachi is my absolute favorite when it comes to Manicures and Pedicures. Their facials are not bad either but I am seriously in LOVE with their mani pedis from the initial cleaning to the massage, its spot on. Coming to my latest experience with Footlogix, it is only available at Amethyst Karachi as it just launched officially in Pakistan but will be available soon in select salons across Pakistan. Footlogix is the world's first and only Pediceutical foot care line. What does that mean? It deals with all kinds of foot conditions and have different innovative products to deal with those conditions and give transformational results . 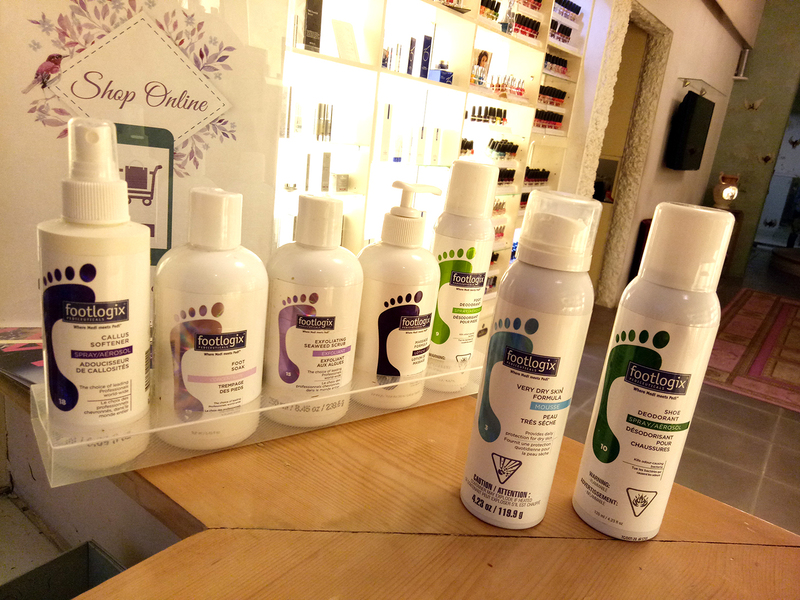 You can basically explain what your foot concerns are and the products will be selected accordingly and you will get your own Footlogix personalized pedicure. I was given a sheet of checklist with all sorts of information. This was a great first impression as it shows how focused the brand is. Do I have allergies? Do I have eczema, or sensitive skin? do I get hot feet? and lots and lots of different concerns which you can tick if they apply to you. I am grateful that other than my heels and cutical getting dry a lot I dont have a lot of concerns. I also wrote that I get sweaty feet when I wear closed shoes, duh! 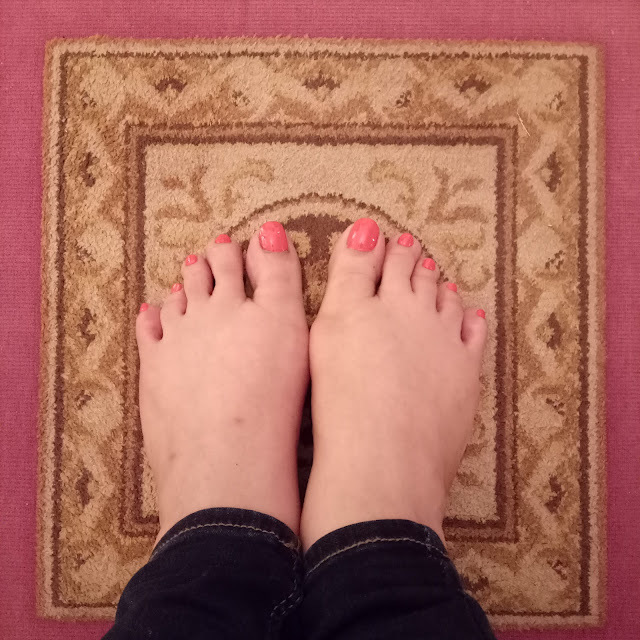 After I was done with filling the form the Lady giving me the pedicure (I will say LADY in the rest of the blog so you will know who I am talking about) sprayed my foot with deodorant which also instantly refreshes your feet. FIY, my feet were not smelling, ehem! The Footlogix Foot Deodorant spray not only eliminates odour it, as I mentioned, instantly hydrates and as the formula contains Tea Tree oil that not only neutralize foot odor but diminishes bacteria and then Menthol cools the skin and leave a refreshing scent. After the foot scrubber on the base of my foot I was requested to soak my feet in the very warm foot soak water which had Footlogix Foot Soak in it. Other then softening the dry rough skin this foot soak has pH balanced, gentle, cleansing, anti-microbial properties and doesnt dehydrate skin either. Foot soak was followed by Footlogix Exfoliating Seaweed Scrub which was love at first experience. This scrub was removing dead skin and dirt which even I didn't know existed! I had a thorough pedicure literally two days ago yet when the lady used this scrub on me I felt the feet were neglected for months, eek! My feet were, Allah Kasam, literally, as soft, smooth as baby's bottom and brighter too, ooh! So while I was feeling super happy with the soft feet the lady continued by spritzing my feet with Footlogix Callus Softner Spray and cleaned my cuticles etc. Then I got a double massage, hallelujhah, first with the Footlogix Dry Skin Mousse and then followed by the Footlogix Massage Formula Lotion. The overall foot massage was 10/10 and I fell asleep, yes. The Lady finished the massage with hot stones and then spritz my feet for the finishing touch with Footlogix Shoe Deodorant which was also very refreshing. Now here is the thing: If you think I am just BSing then go try it and I guarantee if you know your Stuff about Pedicures then you will love this Footlogix pedicure. I really do like OPI but I feel Footlogix has upgraded my experience and i wont be going for anything else but THIS from now on wards. The pedicure is for pkr.1900 and at the moment only available at AMETHYST by Roohi Salon and Spa in Karachi.